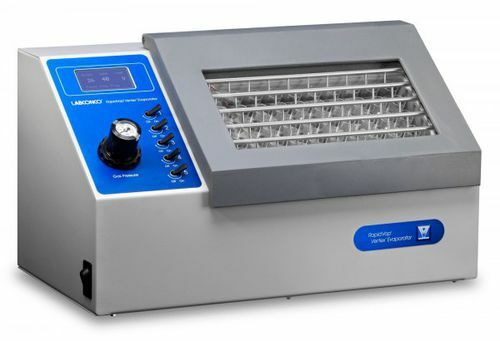 Using dry heat and nitrogen blow down, the RapidVap Vertex Evaporator speeds evaporation of up to 50 samples at the same time. A convenient touchpad allows easy programming of time and temperature. Up to ten different programs may be stored in the microprocessor for protocol consistency. Unlike water bath heaters, the dry block heater requires less maintenance, no distilled water or additives, and adds no potential source of contamination. 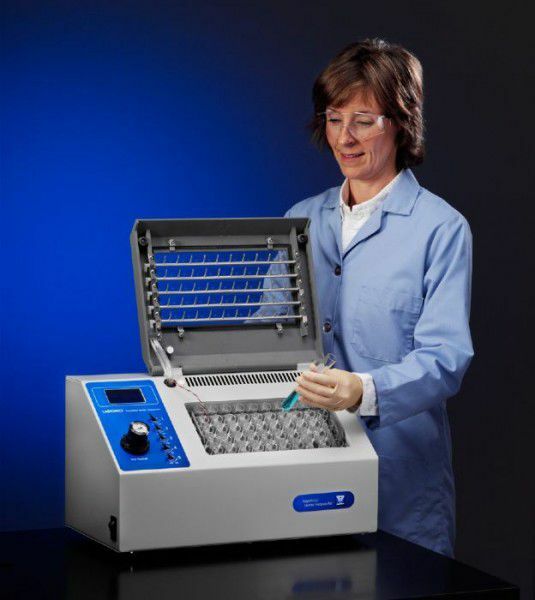 The RapidVap Vertex Evaporator is ideal for preparation of samples in a variety of applications including drug discovery, clinical analysis, environmental testing, agrochemistry, and forensic evidence processing. Quality construction and reliable performance are backed by a one year warranty.